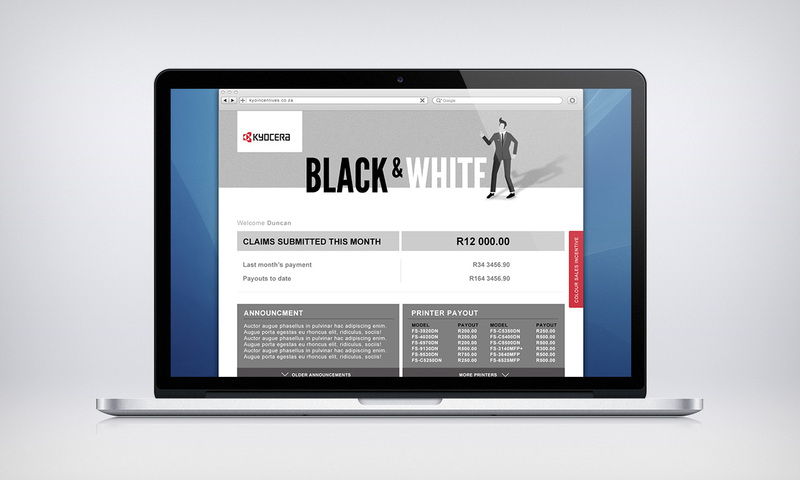 We were approached by Kyocera South Africa to conceptualise a national incentive scheme for their sales staff. The grand prize was an all expenses paid trip to Las vegas for the salesman and a partner. We were tasked with creating a digital portal to capture sales and get the staff excited about it. Below are some examples of the elements we produced. We were required to develop a pack that would be handed out to sales staff during the launch of the 2013 prize presentation. We produced a travel kit by using an aeroplane ticket/boarding pass PVC envelope as the main container. 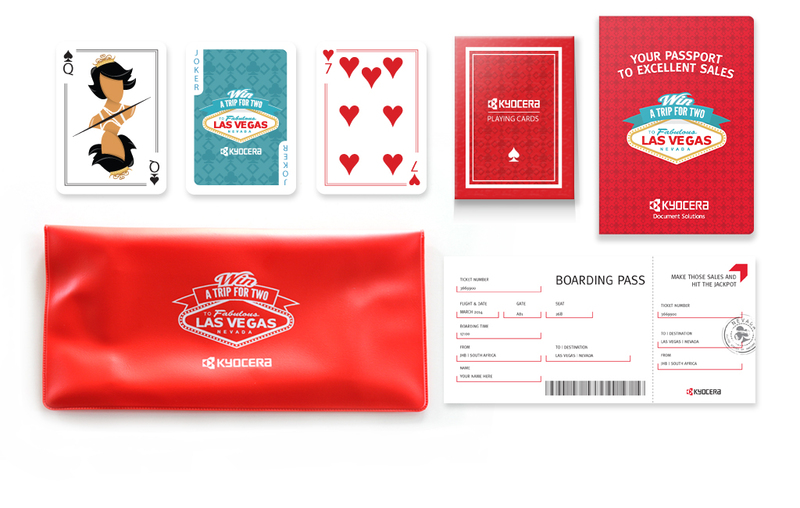 It was filled with a boarding pass which highlighted the destination (Vegas) and the date of the grand prize draw. For more information about how the incentive scheme would work, I created a passport which contained details such as points required to enter and a step-by-step guide to entering the competition. I illustrated passport stamps (seen above) to give it an authentic feel. 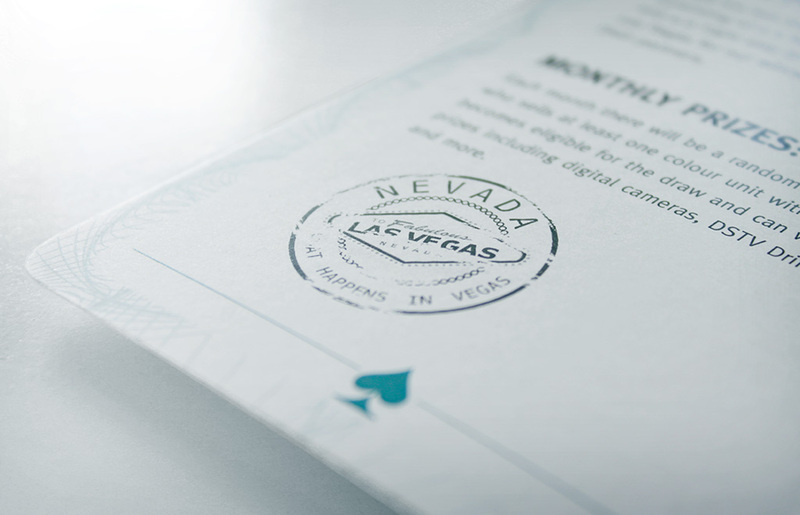 The pages were printed on uncoated paper to mimic a typical passport texture. 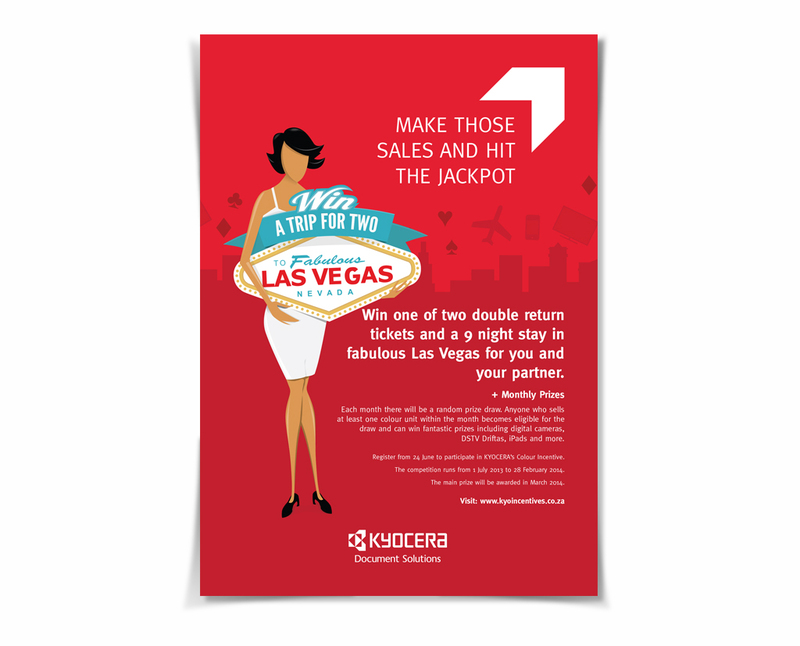 We also produce A2 posters (seen above) to display in sales offices. 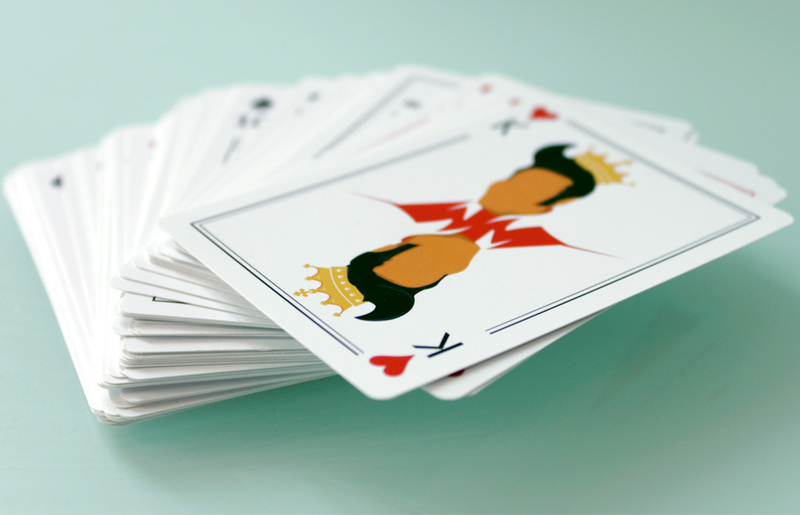 At the launch, sales staff were also given deck of playing cards. I designed a card box which held a full deck. 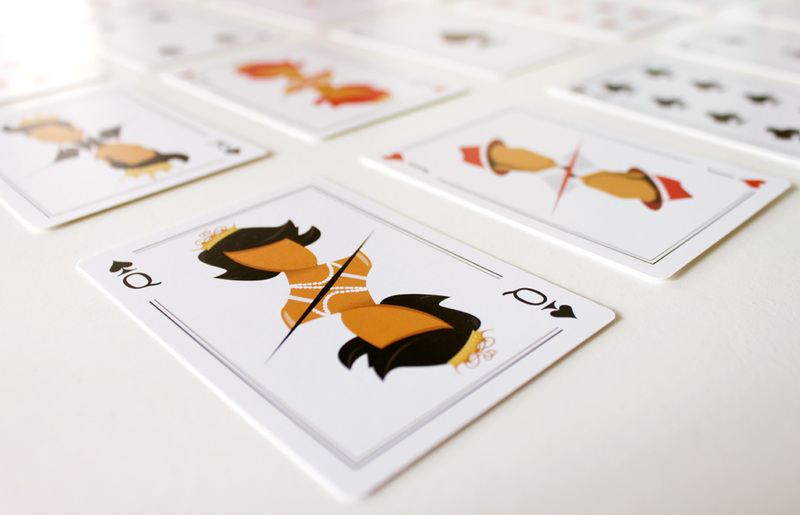 I illustrated a King, Queen, Jack and Joker card. Examples can be seen above. I adjusted the colours of each illustration to suit the category they belonged to. For example, the Queen of hearts had a very striking red hairdo. It would have been great to create individual illustrations for each category, but owing to time constraints, this was the most efficient method to achieve a good result on deadline. All of the elements I have already spoken about were all great ways of creating excitement and supplying information to sales personnel. However the main objective was to drive sales and to capture the sales in a way that, when logged into the secure area, they could measure and compare scores with the other salesmen. I designed a website that would have two sides to it. 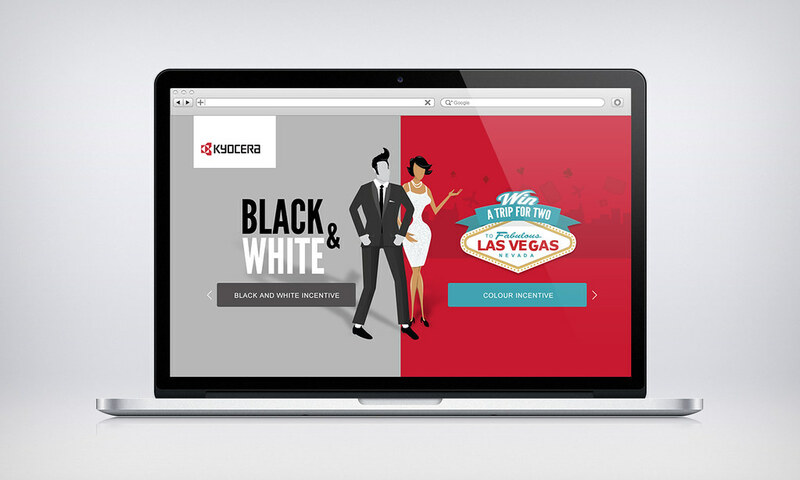 One was leading to the black and white printer incentive, and the other one would lead to the Las Vegas scheme. The black and white prize differed slightly from the colour incentive and was less grand, but equally important. 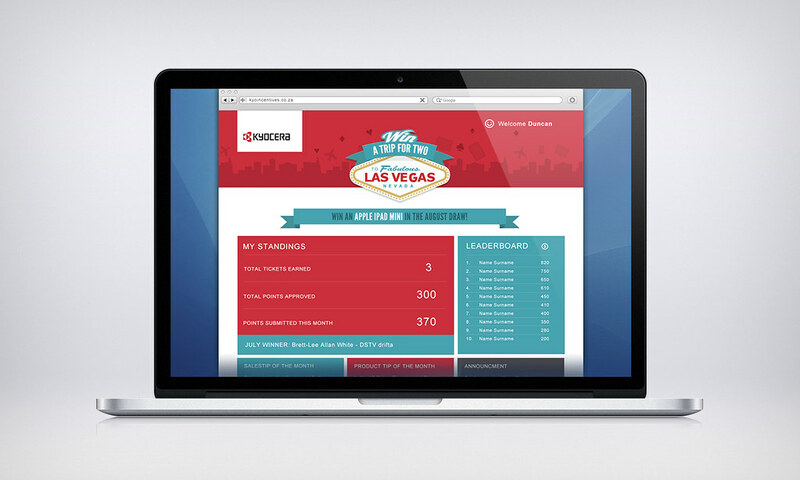 When the user clicked on the desired scheme tab, they were directed to a page that contained their own personal score and also displayed the leader-board. Our digital developers built and amazing system that enabled the salesmen to capture and edit their sales. This was also a great platform for broadcasting messages to salesmen nationwide.